Across the United States, more than 117 million adults are living with at least one chronic health condition such as diabetes, obesity, cancer or heart disease (CDC- Chronic Disease Overview). In addition to the burden these diseases place on individuals and their families, there is an enormous associated cost to our society. Approximately 86% of all health care spending in 2010 was attributed to people living with one or more chronic conditions. Fortunately, many chronic diseases are related to lifestyle behaviors and may be prevented with concerted, thoughtful approaches to health promotion. When someone is told by their health care provider that they are at risk for developing a chronic health condition, it is very likely that their provider will suggest a change in diet, more exercise, tobacco cessation, or improved management of stress. Unfortunately, making these kind of changes is often extremely challenging. Where can people find the support they need to achieve these goals once they have left the provider’s office? 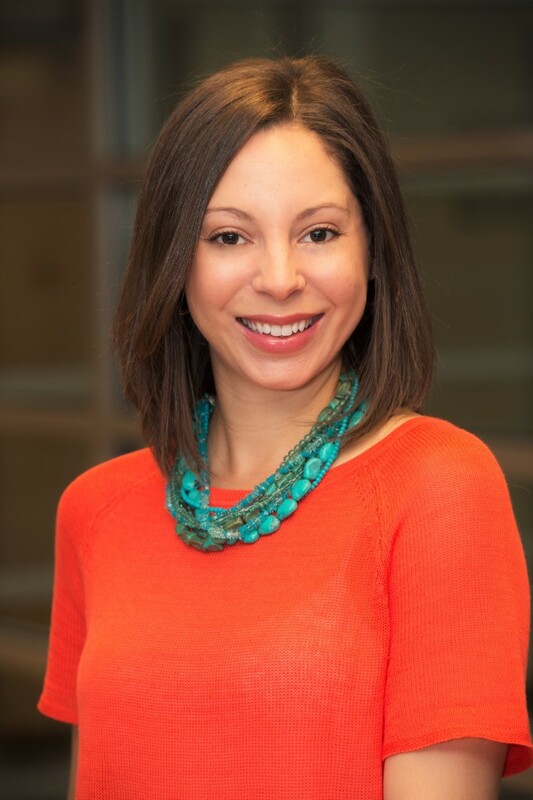 For the past five years, the Lerner Center for Public Health Promotion has worked to build a community-wide health promotion campaign to support and empower people to reach their wellness goals. 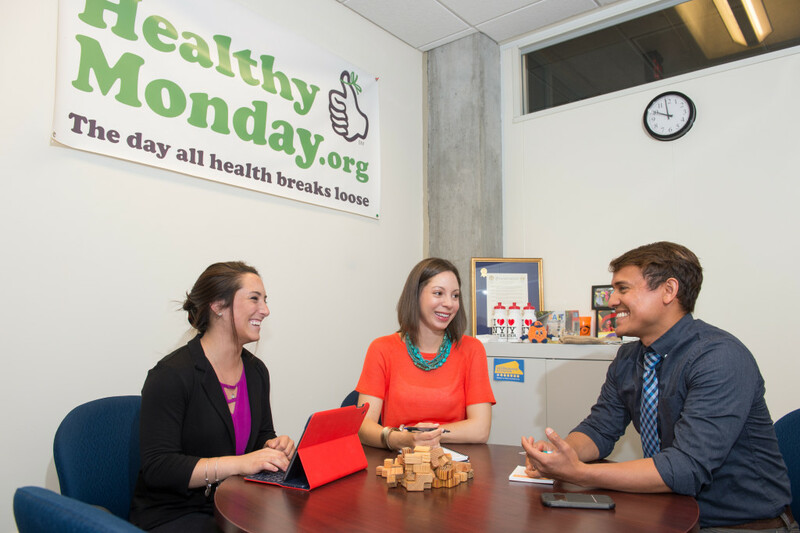 Whether it is eating healthier, moving more, quitting smoking, or building a set of skills to better manage stress, the Lerner Center’s Healthy Monday Syracuse campaigns leverage Monday as the day to grab people’s attention and help them get and stay on track to healthier living every day of the week. Nudging people toward better health is not the only goal of Healthy Monday; we have set our sights on creating a culture within the community where good health is the default. Such aspirations cannot be met by one organization alone, which is why we truly value the partners with whom we work. It is natural for the Lerner Center to associate with organizations that are known for their goals to improve health such as our hospital partners: St. Joseph’s Hospital Health Center, Crouse Hospital, Upstate University Hospital and the VA Medical Center. All of these partners have adopted Meatless Monday campaigns to promote healthy plant-based eating to employees and visitors dining in their cafeterias and have paired the Meatless Monday menus with chef cooking demos, Q&A’s with a registered dietitian, colorful food labels highlighting meatless dishes and of course free samples! In addition to partnering with organizations that share a similar mission to improve community health, the Lerner Center also partners with numerous organizations that impact community health less directly. As an example, in 2012, the Center forged a partnership with the Onondaga County Executive’s Office and the City of Syracuse Mayor’s Office to identify safe, accessible spaces where people could be physically active. From this came the Monday Mile initiative, which to date has resulted in the creation of seventeen marked one-mile walking routes across the city and county. These routes and the associated signage demonstrate how we can work together to change the built environment and encourage the community to improve their health through movement. It is through diverse partnerships and shared efforts to seek and listen to community feedback that we have built a foundation for health promotion across the community. Some of our most valuable partners are the community members who participate in our programs and help us spread the Healthy Monday message through social media. It is critical that we have the flexibility to address their needs and to support them in achieving their goals. Our approach to health promotion is rooted in best practices blended with on the ground, practical applications that work best for those we serve. We have earned trust in the community and are now known as welcoming new ideas about what motivates people to be healthy and about ways we in which can support people in having fun while achieving their goals of living a healthy lifestyle and preventing chronic disease.